Vanderkloof Dam is a treasure which only recently came to light. This dam is the second biggest dam in South Africa and covers 100km. It offers exceptional clear waters, a rare finding in our country. This dam also boasts with one of the country’s healthiest Largemouth yellowfish populations. I my opinion I doubt any other dam can compare when it comes to the number and average size of Largies found in Vanderkloof. I have no doubt that the next SA record will be caught at this venue. 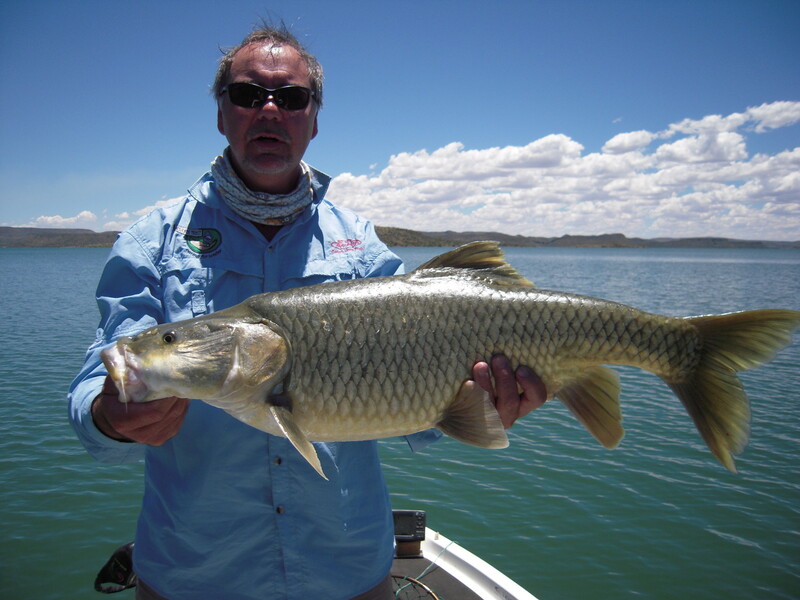 The dam also boast with loads of Smallmouth yellowfish, Orange-river mudfish, Moggel, Carp and massive catfish (biggest in the country). A new project is up for discussion now which want to start a netting program at Vanderkloof. This is bad news to the town of Vanderkloof and to all anglers of the country as this netting program will surely lead to threatened Largemouth yellows biting the bullet. At this stage the big catfish and monster Largies are the reason why many anglers wants to fish Vanderkloof – it is their big differentiator! 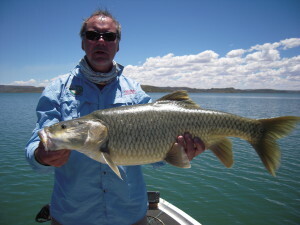 If this netting program get’s the go-ahead the last Largie stronghold will bite the dust. The netting program forms part of a Resource Management Plan which also wants to close down large areas to fishing. 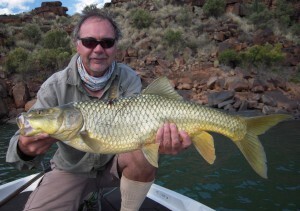 The town of Vanderkloof can benefit financially from becoming a prime angling destination as anglers will flock towards this dam to be able to hook into some Smallies caught on sight on dry flies, monster catfish caught on lure and bait, monster Largies caught on lure, fly and bait and in good numbers etc. With the right management Vanderkloof can achieve a similar status as Dullstroom or even Sterkfontein Dam. An abundance of work opportunities can be created as anglers who fish the dam will need accommodation, food, tackle, guides, fuel etc. It is surely not in the town’s best will to damage the angling opportunities and resources this majestical dam offers. To allow netting in VDK is ludicrous to say the least. Please sign the petition.